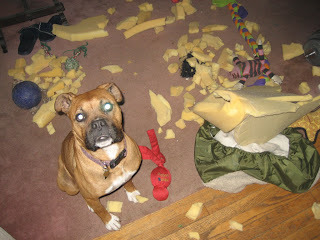 nancy rosetta: I didn't do it. Perry's old bed which Buster (Rusty Shackleford) has completely ignored, until last night. I guess he wanted it gone. Mom. Aliens invaded and ate the bed. I tried to stop them. I swear. no way man. it wasn't me. i think i slept thru it, but burglars DEFINITELY ate the bed. i am really sorry. it was a nice bed...but they were really bad burglars. ps: can i still be updopteded?